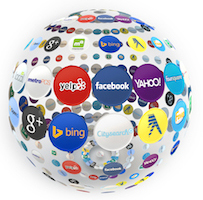 Search engine optimization for small and very small businesses. Home → What is Local Search Optimization? And how we can help. What is Local Search Optimization? And how we can help. You know everyone searches for your business before they walk into your store or call you. How do you guarantee they see you first in the search results? Through local search optimization. Prominence of your citations across the internet. Your web content needs keywords (search phrases) to rank at the top of search results. For local searches, we need to incorporate your address and the locations you serve as keywords throughout your website. Your Google My Business listing is a top tool for local search. While you can’t control the proximity of your customer, you want to show up first if they search “realtors near me” in your town. And “near me” searches are being done more and more each year. 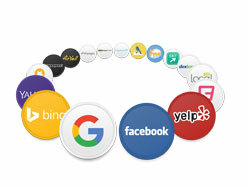 We help you manage the listings like Google, Facebook, and Yelp that you need to show up for those searches. Prominence in your search comes from the breadth and consistency of your citations across the web that include your NAP (name, address, phone) information. We search over 60 listing services that could have your details, make sure you’re listed, and ensure that the information is correct. If Google sees confusing variations of your company name, different addresses, or incorrect phone numbers on some of these sites, it can’t be sure which is right. And if Google is uncertain, it’s unlikely to show you as prominently. The more correct and consistent your info is on the internet, the higher you’ll rank. Ranking for your business through standard search engine optimization can be more challenging if you work in a very popular field with lots of competitors. We’ll help you optimize to get those local customers in the door and on the phone. Citations are your business listings across the internet, including directories, websites, local search engines, maps, mobile apps, and social media platforms. Run a free scan to see how your business appears online. We can help you develop a strategy to build citations, so local customers can find you easily. How to show up when customers search for you locally on Google. Having many recent reviews makes your listing more appealing to search engines. This makes your business look active and busy, which gives you an edge over a seemingly inactive business. Many local listing services help you by providing areas to share your services, logo, business hours, and more. With a robust listing, your business stands out from the rest, may show up higher in rankings on the map, and it will get more clicks than other, less helpful listings. Not only do photos boost your local search optimization, they also help clients or customers make a decision to choose you over your competitors. Too often small business owners fail to appreciate the importance of reviews. Customers choose businesses based on reviews all the time (I’ll bet you do, too!). So encourage them to review you on popular places like Facebook, Google My Business, and Yelp. Being responsive to those reviews helps, too — especially if you receive a mediocre or poor review. Your concerned and helpful response to a review like that can turn it into a positive experience for the reader. 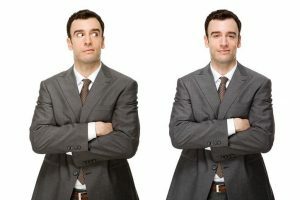 Some business owners make duplicate listings intentionally, thinking they’re covering all of their bases. Sometimes duplicate listings happen by accident from sites that gather business information from “aggregators” like the White Pages or Dun & Bradstreet. 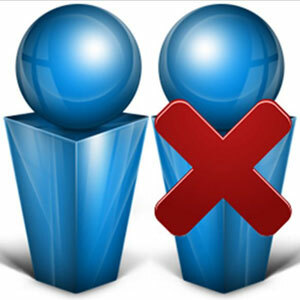 Those duplicate listings often contain inaccurate or out-of-date information. However, the key to a better search ranking is consistency and clarity; you don’t want to make Google choose which of two or more listings to believe. Rank Magic can provide you with an overview of how your business shows up across about 70 local search engines, directories, maps & apps and help you get started on updating any address or phone number changes that might have happened over the years easily correcting them all at once. If you’ve recently changed locations (even a move down the street! ), updating your Google My Business or Facebook listing isn’t enough. This is a manual process that you will need to manage. Many listing sites re-synchronize their information from aggregators like Dun & Bradstreet and may revert back to their original incorrect information after a few months. Keeping your customers up-to-date with how to find you is critical to business success. Rank Magic will guide you through each piece of the local search optimization process. From website content to listing management, we will help you maintain your online image. The Yext Location Platform completes the package as one of the top resources for managing your appearance in local search results. Move locations recently? With Yext, you just enter your new address once, and it will be updated in over 60 locations across the internet. That means you won’t lose potential sales because of calls going to the wrong phone number. Remember those platforms that revert back every few months? Yext solves that by locking in your correct information. Set your information once, and that updates it everywhere on the network. And if it ever changes, just update it in the Yext Location Platform and the new info is reflected across the network of local sites almost immediately. As we’ve mentioned before, reviews are one of the most important parts of managing your online presence. Yext alerts you to new reviews on all sites in the network so you can respond right away. Listings with owner responses to reviews receive higher rankings, and the Yext location service makes it easy to achieve that goal. Run a free scan to see how well your site is represented on Yext’s network of local sites. 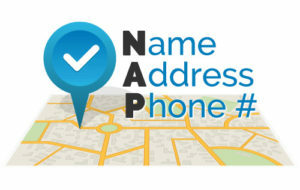 Just add your location information and click Scan Now. Helping small businesses nationwide from offices in East Hanover, New Jersey and Lake George, New York. © Copyright 2005-2019 Rank Magic, LLC. All Rights Reserved | Web services by TAG Online, Inc.